Using EasyMarkit, your patients will receive email, text, and voice messages getting them to confirm their appointments without any staff time involved. Your patients have the ability to confirm their appointments 24/7 and when they do, it automatically reflects the confirmation in your scheduler. 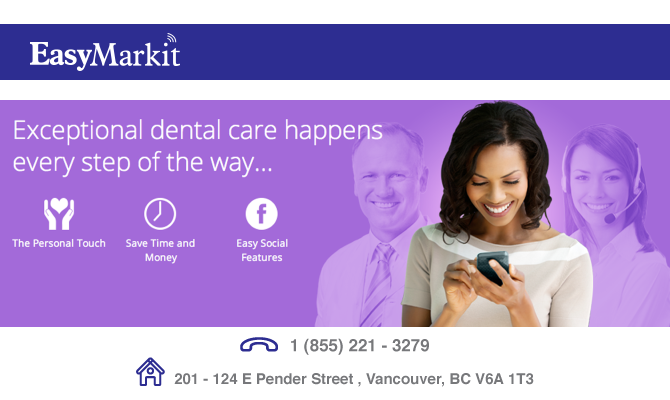 EasyMarkit integrates with your practice management software, allowing you to customize your messages specific to the appointment type and your patients to confirm their appointments directly into your scheduler. Two-way integration is the key to giving you and your patients an unparalleled end user experience. EasyMarkit ensures that every patient is contacted before and after their appointment. With these automated features, patients will not only be informed of the appointments they have booked, but also prompted to book their future appointments.